COMEX is Mexico´s largest coatings and paints brand, its products and stores are in every city in our country. 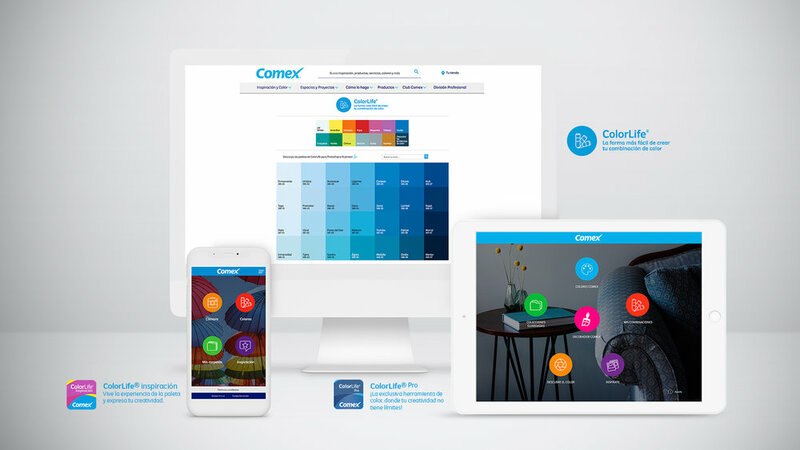 For the recent years RANDOM has been working in collaboration with COMEX leaders to move from being a color and coating manufacturer to a digital company that ultimately results in taking its full suite of products and services to digital platforms and devices. 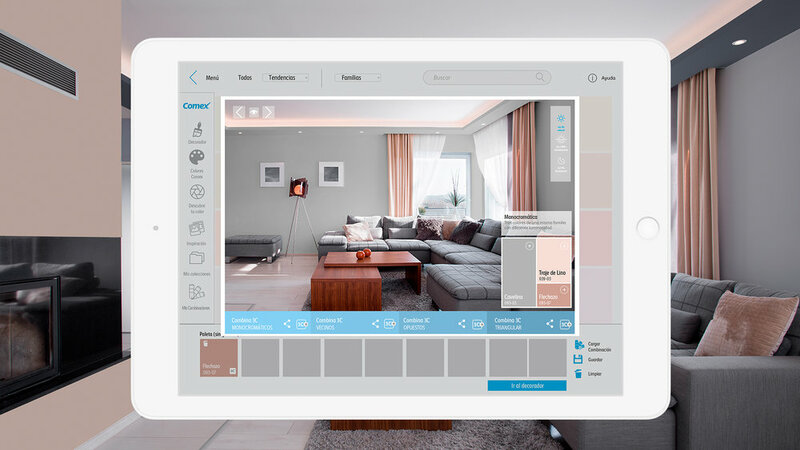 One of the main goals for creating a complete digital solutions suite is to make COMEX products and services more accessible and easier to use than ever, to inspire residential consumers and also professionals such as space decorators, interior designers, architects and many more across every visual discipline that requires color systems. We want to inspire creators, artists and entrepreneurs to discover new ways to use colors taking advantage of technologies like artificial intelligence assistants, automatized color recognition, image composition and pre- visualization and social collaboration and sharing. Capturing real life images surfing color libraries, exploring swatches, creating, sharing palettes from your favorite social media posts and custom recommendations are the fundamental features consumers can find inside this digital color solutions, this is the new way to create color projects form ideas to reality. We work everyday on new digital color solutions based on real people´s situations, we find insights in an infinite range of projects that need to be inspired or defined by color. We have a customer centric approach and process to offer a digital results that connects in a customer journey´s moment that requires a solution. We connect customer centered design with technology consultancy to offer real business results for COMEX.